These nice SME 312 came in defective condition own my workbench. The internal tonearm wire was broken und the adjustment was lousy. The tonearm got a full service a new internal wiring directly from the cartridge clips to the 5 pin connector. 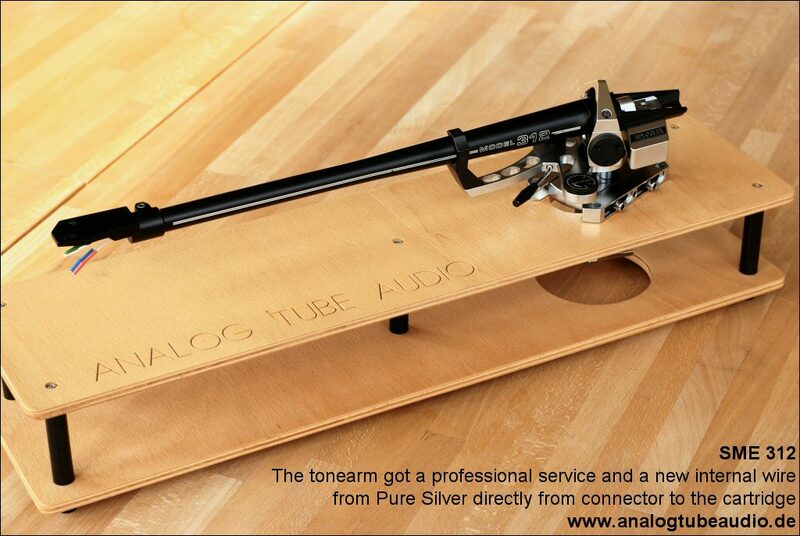 After a new precise adjustment, the tonearm sounds again with an outstanding perfomance.